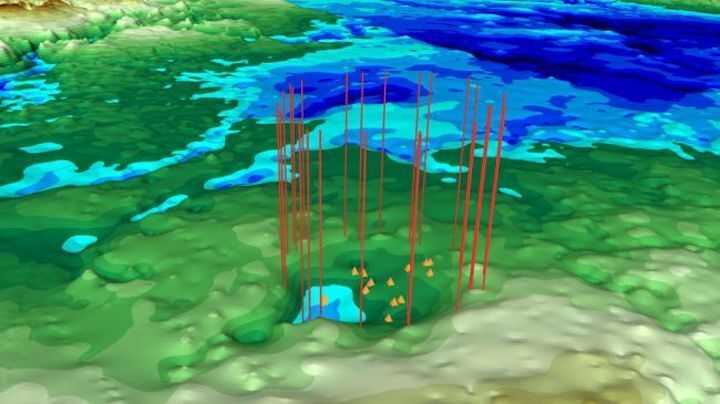 The newfound crater is not related to an earlier impact discovery, NASA says. The new candidate lacks a similar mineral footprint and is thought to be from a meteor based only on elevation data gathered by 11 different remote sensing programs. That data shows a striking dent in the Earth's surface about 114 miles (183 km) southeast of the first structure's location. The second structure is less circular than Hiawatha, but scientists believe they spot the same distinctive rim and interior peaks. Vertical lines point to the suspected rim and orange triangles mark small peaks within a potential impact crater beneath Greenland's ice. 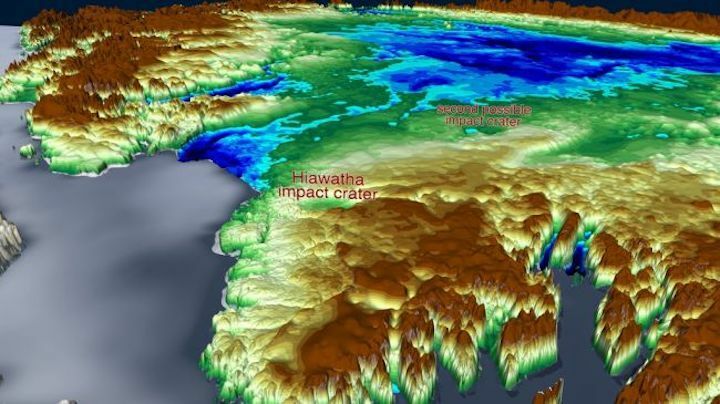 Both potential impact craters need to be verified as such before scientists can tell anything about the history of meteorites slamming into Earth. But the team is clearly still reveling in the novelty of studying these massive structures hidden deep below ice — in this case, over a mile's (2 km) worth..
"We've surveyed the Earth in many different ways, from land, air and space — it's exciting that discoveries like these are still possible," MacGregor said.